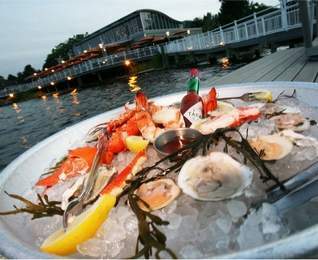 UPDATED LIST OF WATERFRONT RESTAURANTS: Waterfront dining in Westchester, Rockland and Putnam. And here’s a 2015 story on our favorite 10 Waterfront Restaurants in Westchester, Rockland and Putnam. 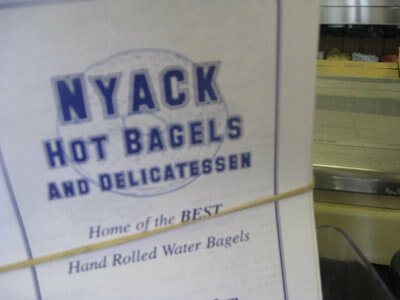 Looking for lower Hudson Valley waterfront dining? You’ve come to the right place. Katherine Curry and I put together this list of waterfront spots. This story was originally published on June 6, 2010 in The Journal News. You’re sitting at the water’s edge, a margarita in hand, the lull of the waves lapping the shore and a soft breeze warming your shoulders. A sailboat drifts by, and your cares float away. Sounds like the ultimate vacation. But there’s no need to book a flight to the Caribbean or even motor down the Garden State to the Jersey Shore. At local waterfront restaurants in Westchester, Rockland and Putnam, you can escape the troubles of the day just by opening a menu. We’ve assembled this list of right-on-the-water spots across the three counties, with a spotlight on three that might be less well-known but that we know you will love to discover. Here’s a look. The Terrace Club, perched right on the edge of Lake Mahopac, is deceptive. From the front, this year-old Putnam County gem, low to the ground with tan siding, doesn’t look like much. But take a peek around back, and have your breath taken away by the gorgeous simplicity of the outdoor dining deck, right at the water’s edge. If outside tables are unavailable, don’t despair. Inside, the Terrace Club is all sleek lines and seductive surfaces, glittering chandeliers and copper tile. The décor’s intent is a ’40s supper club, but dining by a window, watching the sun set over the lake, feels more like being on a sleek, luxury yacht. This ship is sailing with a very good chef on board: Kenneth Brieman, previously executive chef at X20, is a partner in the restaurant with Amie Cunningham, and has crafted an interesting and affordable American-focused menu, with top-notch entrees that come in less than $22. Meals begin with a bowl of complimentary popcorn, drizzled with truffle oil. A trio of Black Angus sliders, a steal at $9, makes a delectable appetizer: plump, juicy patties nestled in tender brioche rolls toasted in duck fat. Hanger steak, chewy and flavorful, comes with vivid green creamed spinach and crisp shoestring potatoes that are like a gourmet rendering of Durkee potato sticks. And simple grilled Tuscan chicken, accompanied by wild mushroom risotto and a smattering of asparagus, is flavorful and juicy, albeit a tad overbrined. Desserts like a gargantuan strawberry shortcake, which turns out to be a strawberry layer cake, and an old-fashioned Saranac root beer float, are simple, but they make for a pleasurable conclusion. A reasonably priced wine list, with many bottles priced less than $40, and well-executed cocktails round out the experience. One warning: The Terrace Club is already wildly popular in the area, so reserve in advance. In Rockland County, West Haverstraw’s Hudson Water Club, located in the Haverstraw Marina complex, has the potential to achieve that winning mixture of great location and food worth the trip. The restaurant, which opened in 2008, is stunning inside and out, with a soaring modern dining room and floor-to-ceiling windows looking out on the deck and the river. Despite the breathtaking setting, the vibe here is laid-back and casual, which is perfect for dining on the beautiful deck. But service inside at dinnertime may be a bit too casual, considering many dinner entrée prices soar as high as the dining room ceilings. At $29, the Maine lobster risotto is the priciest entrée, but even a simple spring pasta carbonara is $19. The menu naturally focuses on seafood. Small plates like crispy coconut shrimp, served with a very sweet red curry sauce, and clam chowder, substantial and smoky, are enjoyable starters. The bowl of plump, steamed Prince Edward Island mussels can be ordered three ways: Thai style, fra diavolo or mariniere, with white wine, garlic and parsley. There are some areas that need improvement, though: Stale bread, soggy calamari and too-salty sauces marred a recent visit. A good bet is to sample this good-looking restaurant at lunchtime or for cocktails (there’s live entertainment on weekend nights) — both the lunch and dockside menu have more moderately priced appetizers, salads and sandwiches. Meanwhile, at Tarrytown’s Striped Bass, a recent renovation has given the restaurant a whole new look: The dining room now has a modern vibe, with pool-blue floors and pillars and streamlined furniture and wavy sculptures made of metal on the walls. There’s a tropical fish tank in the center of the horseshoe-shaped bar in the back, and the dining room has big windows that open onto the patio, which is covered with an awning. New items on the menu include the ahi tuna sashimi appetizer and a lobster roll. You can build your own entrée by choosing from seven seafood offerings — including salmon, rainbow trout and scallops, all less than $22 — that can be pan-seared or grilled, then topped with your choice of five sauces, like tropical mango salsa or red bell pepper puree. The lobster dinners — complete with bib — are popular, but you can also order a couple of fruity drinks and share a bunch of appetizers and small plates. The Corn Chowder with Lump Crab and the Cape May Clam Chowder are both terrific, and the crab cakes are full of real crab. The Shrimp Appetizers — you can choose to have one of three flavors: Portuguese (garlic, sea salt and olive oil), Buffalo or Thai — are made for sharing, as are the Calamari Cracklins. If you’re not up for a big meal you can get a drink from the bar, then take it to your seat at one of the plastic tables right on the waterfront. Order simple sandwiches and burgers from the cabana and watch the boats come in off the Hudson. Half Moon: The owners of Harvest-on-Hudson have turned the former Chart House restaurant into an American brasserie with signature dishes such as duck tacos, Montauk calamari salad and ceviche. The menu also has a plancha section with a mixed grill and meats like veal Porterhouse. The decor is funky and casual with bamboo wood floors, and outdoor seating on the patios, raw bar, lots of glass and two patios with tiki bars. The restaurant also offers stunning views of the Palisades, the George Washington and Tappan Zee bridges, and the Manhattan skyline. New American. $$$$. 1 High St., Dobbs Ferry. 914-693-4130. Harvest-on-Hudson: The most spectacular setting in town with its garden, views of the Hudson and a dining room with soaring ceilings. There’s a varied, casual menu. Tapas in the garden: shaved serrano ham with a cocktail. Lunch: fig and goat cheese pizza. Dessert: homemade gelato and a plate of cookies. Or go for the entrees: steak, lamb chops, grilled pork and littleneck clams. New American. $$$$. 1 River St., Hastings-on-Hudson. 914-478-2800. Civile’s Venice on the Hudson: If you close your eyes while dining here, you may feel like you’re in Italy. But don’t do that … you’d miss the amazing views of the Hudson River. Choose from the many contemporary Italian dishes, like the veal chop Milanese, topped with arugula, tomato and red-onion salad. The three-course prix fixe lunch menu, at $18, is an affordable way to enjoy the scenery. Italian. $$$. 16 Front St., Haverstraw. 845-429-3891. www.civiles.net. UPDATE: NOW CLOSED. Dudley’s Parkview Restaurant: Hang out on the deck overlooking the marina in summer, and order clams on the half shell and a cold beer. This waterfront spot, overlooking Echo Bay Harbor and within walking distance of Hudson Park, is quite popular in the summer months. 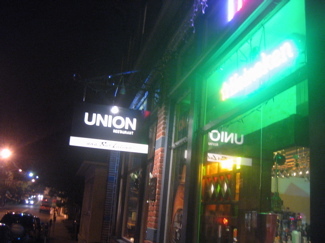 The menu offers reliably good American pub fare. In winter, settle inside with one of the best burgers around. American. $$$. 94 Hudson Park Road, New Rochelle. 914-235-4445. On The Waterfront: A laid-back, casual place with a huge outdoor dining patio overlooking the marina. Come for the cold beer and the water view. The menu sports such standard fare as burgers, salads, sandwiches, and pub grub appetizers, perfect for sitting at the huge indoor bar and watching the game. American. $$$. 2 Pelham Road, New Rochelle. 914-632-9625. UPDATE: NOW CLOSED. The Boathouse: Pull your boat up to a slip or just drive down to the river to enjoy an evening at this casual, comfortable waterfront bistro. (But be forewarned: a parking lot sits between the restaurant and the water, so river views are a bit distant). There are purple walls, a stained cement floor and nautical items everywhere. Don’t miss the mermaid on the ladies room door and the leaning bar, made from swim platforms taken from the backs of boats. The menu is simple food done right: burgers, salads, chicken, and salmon. The stuffed burger is served on a ciabatta roll, and stuffed with cheese, bacon and tomato. Shrimp Luciano, the very popular house specialty, is shrimp sauteed in lemon, parsley, garlic and lots of butter. American. $$$. 46 Westerly Road, Ossining. 914-923-6466. Lighthouse on the Hudson: It’s all about the views, and the amazing sunsets, at this recently renovated spot in Piermont. In warm weather, dine outdoors on steak and seafood while taking in the Hudson River views. The tiki bar on the deck is a fun spot for cocktails. Seafood. $$$. 701 Piermont Ave., Piermont. 845-365-1986. www.lighthousehudson.com. UPDATE: NOW PIER 701. Coming soon: Bar Taco (see sidebar). Seaside Johnnie’s: Dine on the spacious deck of this sister to Pier Restaurant & Tiki Bar to enjoy spectacular views of the Long Island Sound and Rye Playland. There are tropical drinks at the bar, and the menu naturally focuses on seafood — but there are ribs, steaks and burgers for the landlubber in the crowd. A hot summer night gets really busy here, but you can walk down onto the sand for a little sea breeze, or a Sea Breeze. Seafood. $$$$. 94 Dearborn Ave., Rye. 914-921-6104. Coming soon: Dolphin (see sidebar). Southeast Grille House: Settle into the comfortable booths in the bar area or take a table near the fireplace in the light and airy dining room with views of the Middlebranch Reservoir over the spotlit trees on the lawn. The menu focuses on grilled items like fish and steaks, plus there are pastas and blackboard specials. American. $$. 2459 Route 6, Brewster. 845-279-8131. Day Boat Cafe: Lobster rolls, chowder, fish filet sandwiches … the new Day Boat Cafe in Irvington is a fish shack in fancy dress. The former One (and Solera before that) is now serving exceptionally fresh seafood, from raw bar oysters and shrimp to fish tacos to whole branzino. The decor is all white with wavy blue photo mural, and a line of red oars criss-cross the ceiling of the dining room in the shape of the hull of a ship. There’s a marble bar in front with big TVs and tall wood tables for casual dining, and an outdoor patio for summer where you can just see the Hudson across the parking lot. Seafood. $$$. 1 Bridge St. Irvington. 914-231-7854.
not worth the $38 dollar price. Overall, what you have here is a pretentious restaurant which assumes people are willing to overlook crappy, overpriced food in exchange for a nice river view. I for one, will not be fooled again! Well, Adam– there was something about their website and menu there that turned me off completely. It was just a little too slick, and then the fact that there were NO prices on the online menu was really a no no. I know they were overpriced since there were no prices. Who do these places think they’re fooling? Put the prices on the website!!! After visiting Sue’s Sunset House in Peekskill I cannot figure out why The Peekskill Brewery was not chosen instead. We walked into Sue’s and made a U-turn. The brewery is on the same street. I wont go to Xavier’s. I went there a couple years ago the Sunday before Labor Day. There was NO ONE in the place. I asked for a water view in the empty dining room. They seated me where the view was blocked by a pillar, so I shifted my chair so I could see. No one had come to give me water or a menu, but they rushed right over to tell me I couldn’t move my chair because it might get in someone’s way. When I pointed out that there was NO ONE in the place except me, they still insisted, so I walked out and told them I would NEVER be back. That was my substiutute for the vacation I did not get. Forget where I did get dinner that day, but it was a place I go back to frequently. Xavier’s will never get my hard earned and overtaxed money.